Rationales for the internationalization of higher education, consistent with neo-liberalism, increasingly emphasize the importance of developing human capital and income generation through study and life abroad. Exploring this entrepreneurial turn, this analysis reveals that international education shows signs of developing a professionalized workforce. Through the use of various theoretical frameworks, including institutional ethnography, a Foucauldian focus on discourse and anti-colonial theoretical perspectives, the author discloses how the managerial-driven discourse of professionalism of international educators facilitates control ?at a distance? (Fournier, 1999) and prioritizes organizational interests over their everyday/night experiences. At the same time, by conceptualizing professionalization as a site of struggle (Tobias, 2003), this book describe ways in which these ?ruling relations? 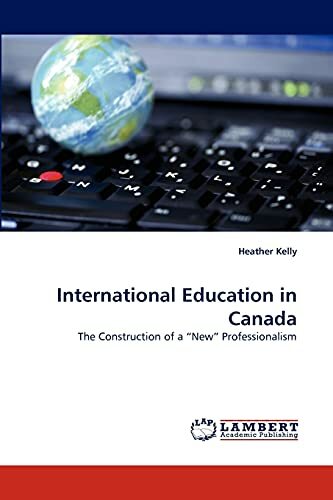 may be subverted and how an alternative professionalization strategy may be pursued by international educators in their efforts to advocate for social justice in international education.